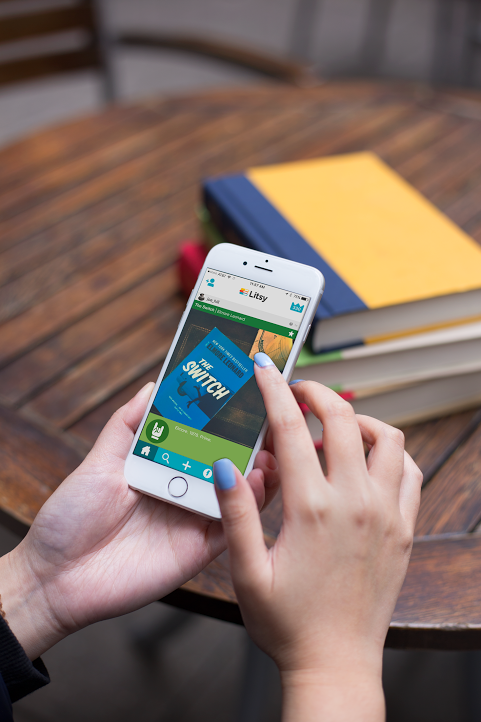 You've all heard me rave about the book-lovers app Litsy, where I and many members of the online book community share our thoughts about the books we read and the books we want to read. If you haven't yet had a chance to look into Litsy, it's an app that lets you rate books, share your thoughts, and talk to other readers. 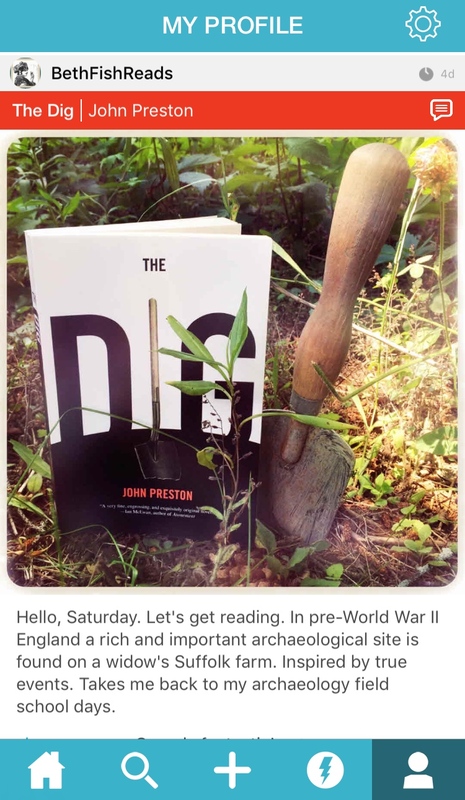 I like using the app because it combines some of my favorite things: books, the book community, social media, and photography. My Litsy user name is @BethFishReads, what's yours? 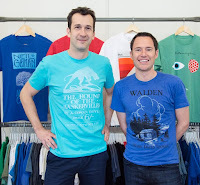 I recently had the opportunity to talk with Litsy co-founder Todd Lawton. I tried to think of all the questions you might have in regard to the book community and how the app is currently being used. In addition, I took the opportunity to find out what's in store for the future (pay attention Android users! ), and I'm very happy about the projected new features. Help me welcome Todd to Beth Fish Reads. Pour your self a cup of your favorite drink, sit down, and listen in (read in?) to our conversation. ME: One of the things I really like about Litsy is how easy it is to connect with people through our shared love of books. Although the app has been called a combination of Twitter, Goodreads, and Instagram, Litsy is really an entity all of its own. What are some of the ways readers have used the app's features to combine their love of reading with photography and the online community? TODD: We think the best way to share and talk about books is through many moments we have with them—not just our final thoughts or reviews. 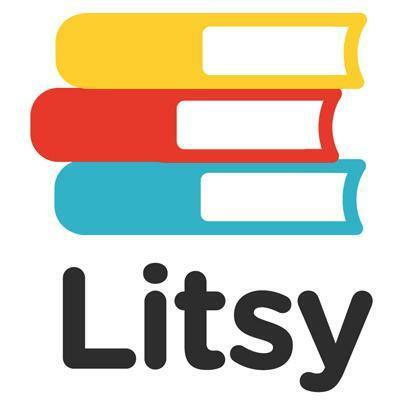 Litsy is a platform where readers can be as spontaneous and fun as they want to be. 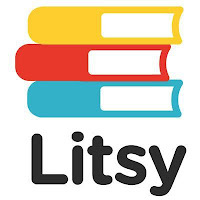 We're thrilled to see the community create new ways within Litsy to express their "Lit-Lives"—by creating book clubs, powering read-a-thons, creating photo communitywide campaigns, sharing book hauls and lists, and hearing from authors that they want to use Litsy while on book tours. We're learning so much about what readers want from Litsy just by the new ways they are "hacking" the experience to create new uses and functionality. We love it! ME: I love it too, especially some of the memes, such as @Liberty's Fun Friday Photo, which has a weekly theme, and TBR Tuesday, in which users celebrate the books they're excited about. Social media is, of course, all about communicating with others, and I've been enjoying how the commenting feature of Litsy is used to start conversations, ask questions, and share thoughts about books. What are some of the unique things you've seen in the comments? TODD: It seems counterintuitive, but limiting the number of characters allowed in posts and comments translates to more conversations being created and reacted to. We're seeing many people ask questions in their posts or make open-ended statements. These posts get a lot of comments. Personally, I have been surprised by how much reaction is generated when a reader marks a book as "bail" in their review. As far as we know, we're the first to include the action of not completing a book in a rating system. Every book moment, the good and the bad, is an opportunity to start a conversation on Litsy. ME: I think the bail rating is brilliant. People have been using it silently or have used it as a way to talk about why a book wasn't for them. I also like "spoiler alert" feature. This is so great because it allows readers to talk about specific scenes or the ending of a book without ruining anything for others. Both posts and comments can be hidden until you, the user, decide to tap and read. I love taking photographs, so I was instantly attracted that feature of Litsy. When you decided to include photographs with the app, how did you anticipate readers would use that feature? What has surprised you about how readers incorporate photographs? 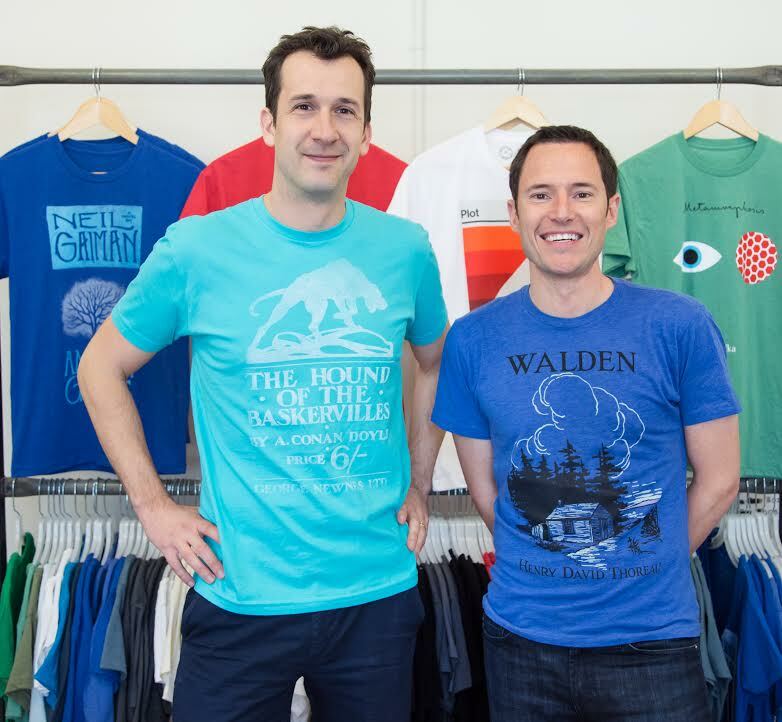 TODD: We started Litsy on the shoulders of a literary merchandise company that largely specialized in uncovering and celebrating iconic book art, called Out of Print. With Litsy, we wanted to continue to celebrate the visual nature and joy of reading as much as the verbal. Sharing a personally stylized picture of a book cover is much more appealing than something we can suggest from a digital database. 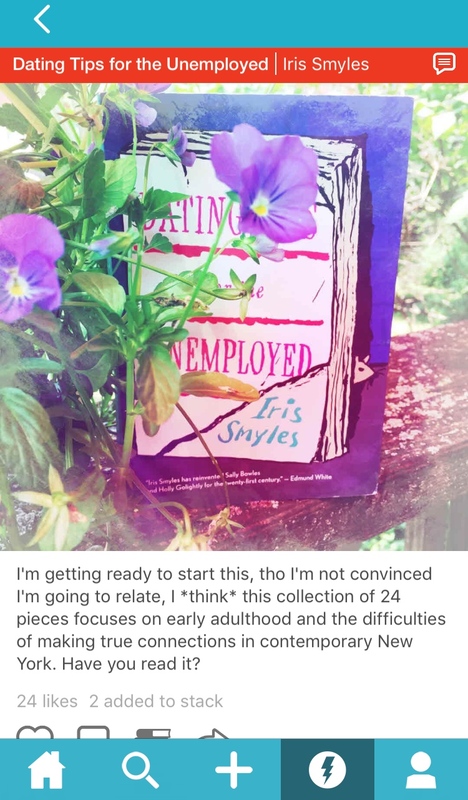 I love seeing Litsy posts with stacks of books after a book haul or to share a reading list. There's a lot of cool ways people are highlighting quotes off a printed or digital page as well. ME: Over the last few months I've also noticed a change in the types of photographs people share. At first many photos were simply conventional book covers. Now, however, we're seeing scenery, the ocean, the kids' baseball practice, and other non-book photos. So much fun. Although I love thinking about and setting up photographs to accompany my Litsy posts, I think it's great that users don't have to include a photo if they don't want to. I've noticed that there is no obligation or pressure to have to use your camera app (or the built-in Litsy feature). I was curious if you know about how many posts go up without an accompanying photo. TODD: Between 25 and 30 percent of posts go up with a photo. ME: I think that's awesome. I love it that people can join in the fun of Litsy without the need to snap a pic. So if someone isn't the photographing type, he won't be alone. No need to hold back on downloading the app. Now let's take a look into the future. So far the Litsy app is available only for iOs, where it has seen rapid growth. As the app becomes more popular, I know two of the biggest questions my readers have are, When is Litsy coming to Android? and Will there be a web version? TODD: You can look for the Android app sometime in July or August. Our website will launch this fall. ME: Great news! I can't wait until everyone has access to Litsy. I'm looking forward to even more great book-related conversation. I like the simplicity of Litsy and how easy and intuitive it is to use, right from the start. But, of course, everyone has her own little wish list of future features. Here are two items on mine: an audiobook icon (and audiobooks showing up in the search) and a way to make lists or collections. Are either of these in Litsy's future? What other features can users expect to see in the coming year? TODD: There are a lot of audiobook lovers out there. We definitely have it marked as an area to focus on. In the near term, we will be adding more discovery and explore options—better ways to connect with like-minded readers and trending books, genres, etc. Push notifications are high on our list. Our view is that Litsy exists to be a reader's companion and to create joy. We're most excited by the functions and experiences we can add to make book talk more fun. If you're on Litsy and like what's happening today, you’re going to love what’s to come. ME: I can't wait to see what the future will bring. TODD: That tradition was started by our co-founder, Jeff (his many talents never cease to amaze us), but we’re lucky to have another brilliant writer who has penned an update text or two. ME: Thanks so much, Todd. It was fun to talk with you about one of my favorite places to chat about my love of books and reading. You can find me there off and on throughout the day as (oh shock) @BethFishReads. If you want to know more about Todd and Jeff, read the stories at Tech Crunch and Publishers Weekly. For more on the app itself, visit the Litsy site. For questions or just to say hi to the Litsy people, follow them on Twitter where they're @getlitsy. Be sure to set up your account and join the community. I'd love to see you there. Fun interview! I love Litsy but I'm obviously not using it enough because I didn't know about the memes or the update notes. By the way, my Litsy handle is bermudaonion. I've been meaning to sign up - so I just did! :) Great interview. I'm just starting to get back into the swing of things in the online book community, so this is perfect. Sounds like so much fun. Great interview and I love Litsy (@lakesidemusing). How can I find the update notes? @JoAnn and everyone: the update notes are in the App Store > Updates > What's New. Enjoy! I decided to join in as well. Even though I'm on an extended summer break, this seems perfect for short updates. Thanks for giving me the push! I'm @kaysreadinglife. Fabulous interview! Cannot wait for the Android app. I've been on the fence about getting this app but after reading this interview I just went and downloaded it! I can't wait to get it all figured out! I have the app but haven't explored much yet. What I've seen I like. I feel already overwhelmed with all my other apps! I have the app, and honestly have done next to nothing with it. Maybe it's just one more thing I'm afraid of getting hooked on in social media. I'm Anitalovesbooks, and I followed you today BFR. I've clearly got to explore more in depth. Great interview and great way to get me fired up to share more great reads! Yay! Excited to hear that an android version is soon coming!! Definitely will have to check this out!! Also off to look at Out of Print. I just signed up yesterday! So fun. How cool! I have this app and have been trying to get into the groove of using it!